«My love, this letter will not be easy; without a question or answer a year has passed, with few but very tender words …» So begins a letter by Austrian poet Ingeborg Bachmann sent from Vienna to Paris in 1949, to her lover, Paul Celan, and recently published in an epistolary collection cataloguing nearly two decades’ worth of romantic exchange from these two titans of post-war German literature. The letters reveal an impossible love – filled not only with marital and social complexities, but also political and historical ones – and are disarmingly naked. Sometimes they shed layers; sometimes they strip and tear at them voraciously. With unrestrained avowals of love sickness, of envy, of vulnerability, of undying sehnsucht, of professional jealousy, of regret, and evermore longing, the anthology is compulsively readable and inherently elicits our (hopefully conflicted) voyeuristic tendencies. Their words, feelings and thoughts are intimate, intensely private and personal. And, yet, they are now ours to consume in book form, like a great work of fiction chronicling two extraordinary characters at a particularly painful juncture in history just after the Second World War with horrors still haunting, and terrors still taunting. 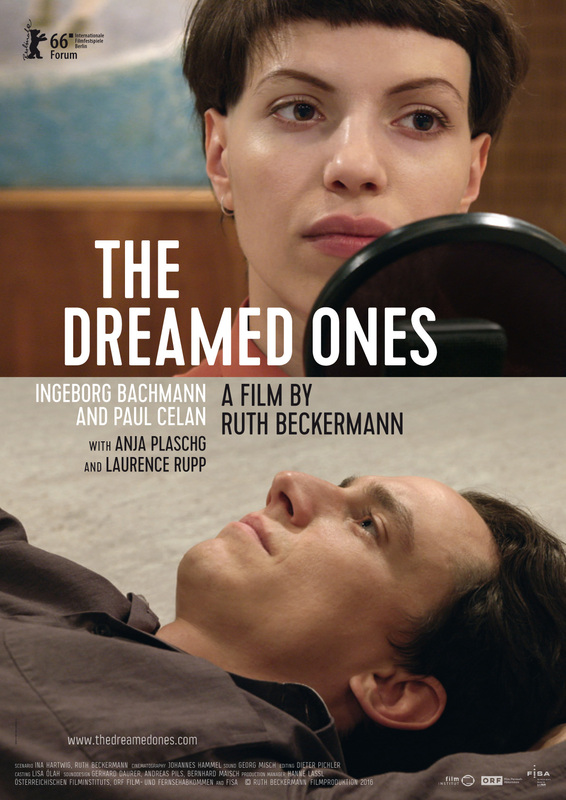 Austrian filmmaker Ruth Beckermann ingeniously seizes upon both the power of this correspondence – its prose, but also its confessional nature – and the distance that time and transference inevitably instill and conflate in her latest film, Die Geträumten (The Dreamed Ones). The film depicts a reading of some of Bachmann and Celan’s letters to each other, one in which a dreamy, sensual dance transpires between two young, winsome actors, who beautifully get caught up in the letters, and perhaps, in each other as glimmers and glances remain furtive and frisson-inducing. Staged like a recording for an audio book or radio play (a medium Bachmann was known for) in Vienna’s venerable Funkhaus, Celan’s letters are delivered by theatre actor Laurence Rupp and enigmatic singer-songwriter Anja Plaschg, who performs as SOAP&SKIN in Austria’s alternative music scene. Plaschg’s intensity is something to behold, her gaze teary and concentrated throughout and, while Die Geträumten largely feels like a cross-cutting kammerspiel, the film soars in cutaways to the duo’s smoke breaks and languourous pauses between sessions, which are light, flirty, but also terrifically fraught. Time becomes elastic and banality is quickly usurped. In one of the film’s best scenes, he and she are sprawled on the floor listening to James Brown’s «It’s a Man’s World» on an iPhone as Plaschg sways with her hands stretched upward as if to convene the spirits of the film’s forlorn lovers, who are absent but certainly not gone from this world. Andréa Picard is a film curator and writer based in Toronto. Since 2006, she is the lead curator of Wavelengths, the celebrated avant-garde section of the Toronto International Film Festival.